Hip hip hooray, it’s publication day! It’s Running Against the Tide‘s official publication day and I’m thrilled that I finally get to share my new novel with you all. It’s both exhilarating and terrifying to release a book into the world. 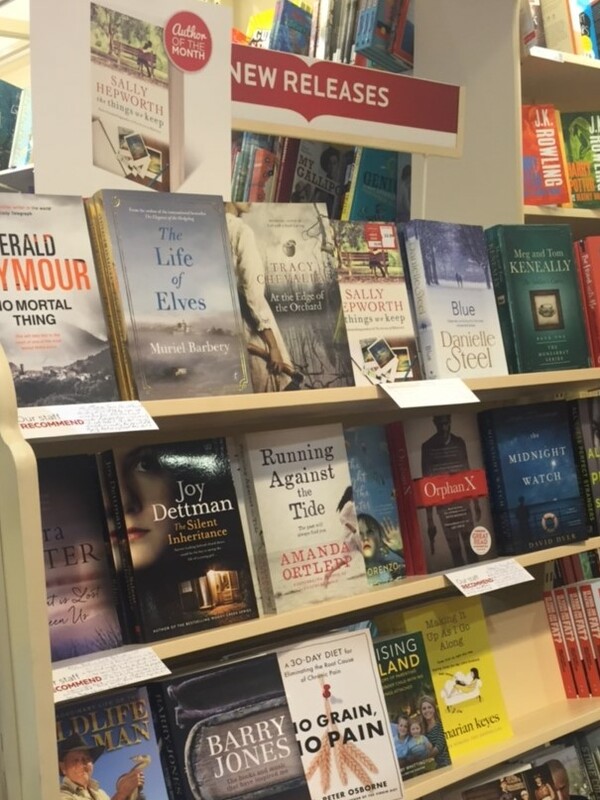 The exhilarating part is seeing it in bookshops, sharing a shelf with books by authors I greatly admire. The terrifying part is that I no longer have any control over what happens to it. Fortunately for my nerves, a number of advance readers have already read and reviewed Running Against the Tide (you can read some of these reviews on Goodreads). I know some writers avoid reviews like the plague, but I read every one I can find. I’m always thrilled to hear that someone has enjoyed one of my books; it inspires me to keep writing them. You can find Running Against the Tide in all the usual places, and if you’d like to read the first chapter for free you can download it here.